Subarus are known around the globe for their standard all-wheel-drive systems, great gas mileage, high safety ratings, and now they’re about to add another to that list. Please welcome their new “EyeSight” technology. What exactly is EyeSight Technology? It is a second pair of eyes. These two hard-to-notice cameras are placed behind the rear-view mirror and face the road. It is an added safety measure for any driver. We tested it and it really works as stated. EyeSight is able to detect a collision a few feet in front of the vehicle. Now, we’ve seen this in other cars, but only sensors, not actual cameras doing the work. Cameras have made collision prevention much more accurate and reliable. This technology works by noticing a speed decrease for the car in front of you. Your vehicle’s “eyes” will then apply pressure to the brake if your reaction time isn’t quick enough. When traffic is stop and go, it will remind you that traffic has started again with an audible and visual warning that is actually helpful during the daily commute. 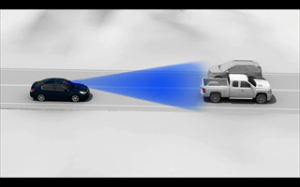 This new technology also includes adaptive cruise control, which allows you to set a cruise speed and will automatically change speeds if you are nearing another vehicle. 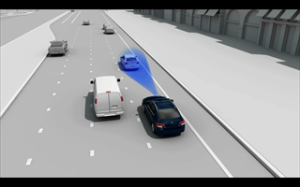 Just like cars with sensors, EyeSight will include lane departure and a sway warning. If you are swaying out of your lane, your vehicle will alert you. We have all been in this situation while trying to find a good tune on the radio or when similarly distracted. We will drift our eyes back onto the road and immediately push the steering wheel back in the direction of our lane. With EyeSight, you will get an alert before you find yourself in a bad situation. 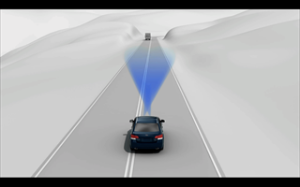 EyeSight technology is officially available on the 2015 Subaru Outback, Forester, and Legacy models. Face it – this is a safer way to drive on the roads and a great choice for a new driver. When you’re on the road, the Adaptive Cruise Control safely maintains the speed you set. To keep a safe distance from the car in front of you, all you have to do is choose the distance you want to preserve. EyeSight will automatically use braking and monitoring technology to keep you safe during your travels. We know that momentary distractions might happen when you’re behind the wheel. Lane Departure & Sway Warning is designed to protect you when that happens. 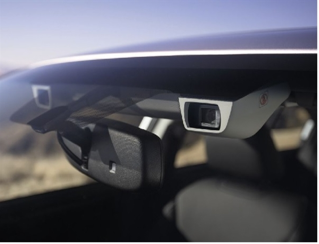 The EyeSight technology monitors your position on the road and will alert you if you unintentionally stray out of your lane. We all hope we can react quickly enough to hit the brakes when something unanticipated happens on the road. EyeSight can hit them even quicker. Pre-Collision Braking helps you avoid or reduce frontal impact by alerting you and applying full braking forces in emergency situations. Unexpected things happen to even the safest drivers. Pre-Collision Throttle Management detects objects in front of your Subaru that you are likely to hit. It will reduce the power from the engine to help minimize the possible impact force and frontal impact damage.